The boom stands provide stability and easy positioning for stereo microscopes and cameras. The boom stands are machined and finished using high quality, durable materials to ensure that they can safely support your equipment for years to come. 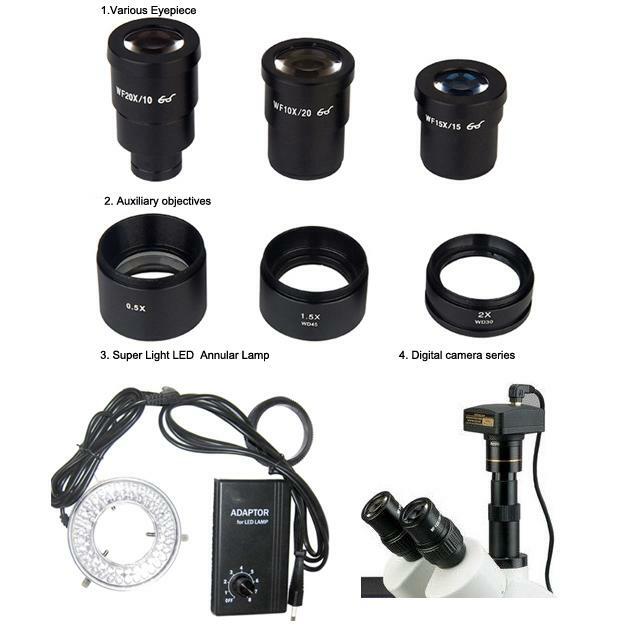 These Trinocular stereo zoom microscopes give crystal clear sharp images. They come with a binocular head with 20mm super wide field, high-eye point WF10X eyepieces and a heavy-duty single-arm boom stand. The 45degree inclined binocular and high-eye point design ensures an easy observation, especially for eyeglass wearers. The rubber eye guards provide further comfort. 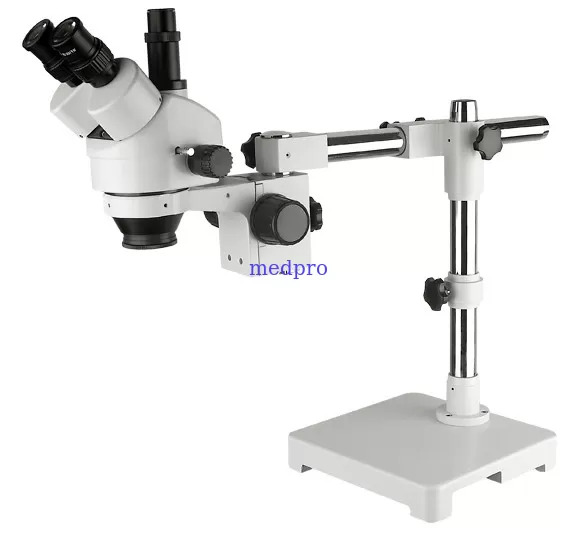 These microscopes offer high resolution, super wide field of view, large magnifying zoom range and long working distance. They are ideal instruments for research labs, gemologists, engravers, collectors and anyone in semiconductor and/or electronic industry.